UNAIR NEWS – Aftershocks still hit several areas in Lombok archipelago, Faculty of Medicine Universitas Airlangga in collaboration with Universitas Airlangga Alumni Association (IKA-UA) West Nusa Tenggara Region continues to distribute aid to disaster victims. 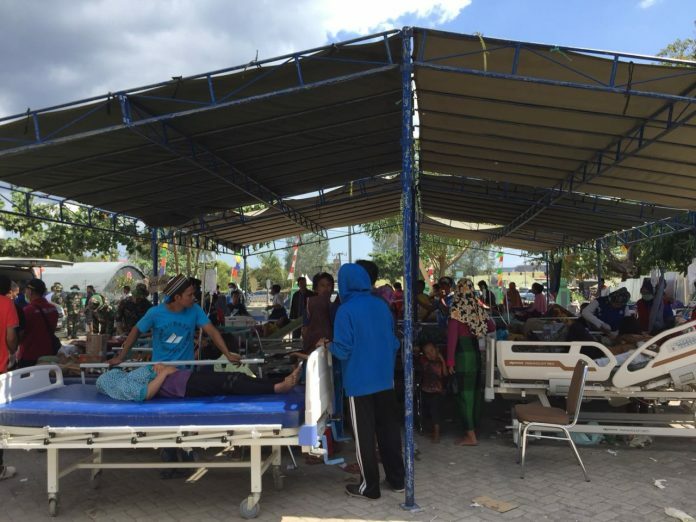 Beside logistics, a number of medical personnel were also deployed to provide medical treatment in several locations that suffered the most damage, such as North Lombok, East Lombok and Mataram City. The leader of Lombok disaster relief team dr. Christrijogo Sumartono, Dr., SpAn., KAR from Anesthesiology FK UNAIR-RSUD Dr. RSUD Soetomo, via a telephone connection on Wednesday morning, August 8 said that 16 specialist doctors were deployed, including four orthopedic doctors, four general surgeons, four anesthetists, and four nurses. They arrived on Monday evening , August 6 and carried out surgeries to a number of disaster victims who had been rushed to the Mataram Provincial General Hospital. “They are the first team which assesses the field while maximizing services,” said dr. Chris. In addition to medical assistance, the team is expecting the arrival of the Ksatria Airlangga Floating Hospital, which is scheduled to arrive at the port of Pamenang, Tanjung, North Lombok Regency on Wednesday, August 8. “I have coordinated the ship dock location with the Mataram Health Office, Dr. Lindung, and the NTB UA IKA team,” he said. Chris made sure, in an urgent situation like this, more general practitioners needed. This has been informed to the local hospital. “In North Lombok there are still victims who have not received medical treatment. They need pick-up, given the damaged in the road infrastructure, making it difficult to go anywhere. We need more volunteers, “he said. Chris estimated that if the availability of medical specialist is sufficient to be on standby at the Mataram Provincial General Hospital, other medical teams will spread to a number of hospitals that are able to facilitate the operating rooms. “The Mataram Health Office promises to empower five private hospitals as a place for surgeries, and they are being prepared. They need to be sterilized first, because if it’s not sterile, the patient will get infected. It will bring problems again, “he said. According to dr. Chris, it is still in the acute response phase. The victim’s wound is still open and it should get treatments within two weeks. “I heard that there were many victims in some areas who did not receive food and water aid. Even in some remote areas of North Lombok, there were lootings, so people ran out of food and drinks, “he said. Meanwhile, the advisor of IKA UA NTB Region, dr. Doddy AK, Sp.OG (K) revealed that a team is currently corrdinating with the regional disaster management agency and had gained permission from the Mataram Provincial Health Office and the provincial hospital to use eight operating rooms. Apart from UNAIR, reinforcements also came from a number of other educational institutions. “Yesterday night a team of volunteers came from UGM, UNHAS and Udayana. Then followed with teams from UB, and UI, “he said. 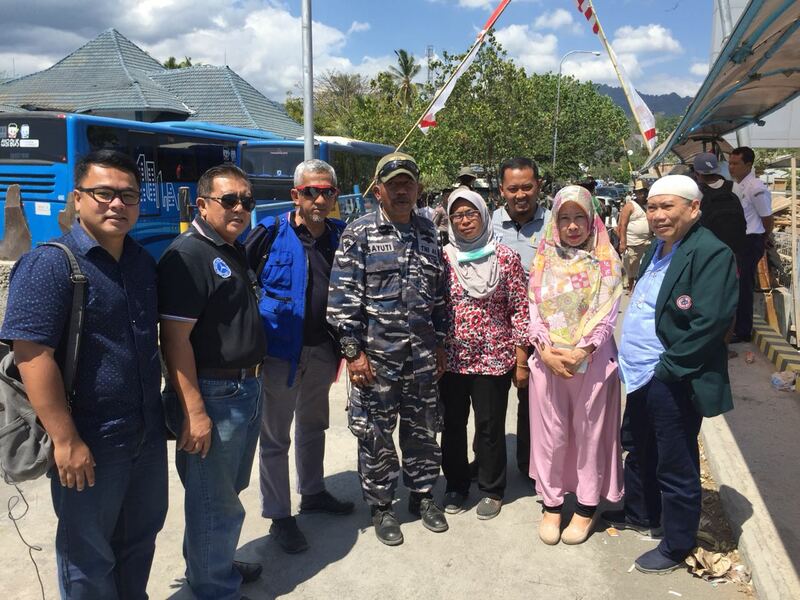 Previously, UNAIR members through Universitas Airlangga Alumni Association (IKA UA) in West Nusa Tenggara (NTB) had visited the disaster location four days after the incident, on Thursday, August 2 in Sembalun Belumbung, Sembalun Lawang, and Sadang Lombok East. At the locations, they mobilized logistic assistance such as rice, food, mats and blankets and medical assistance. “We chose those sites because the concentration of disaster occurred there,” said dr. Doddy AK, Sp.OG (K), an advisor of the IKA UA.